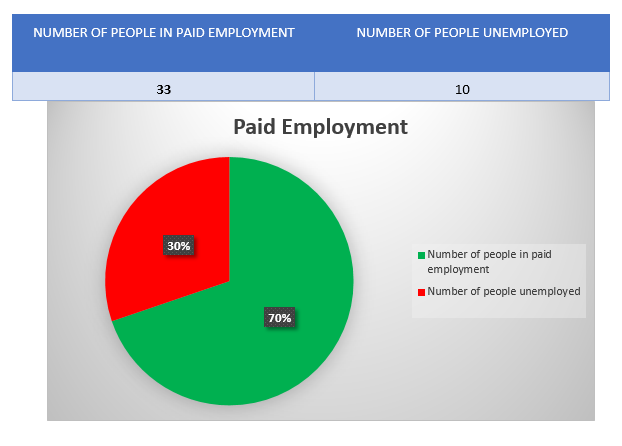 Employment Survey from the Frontline. Work is one of the most important parts of life for many people. In Eolas, we are always discussing our jobs and experiences of the world of work. We decided to research these issues in more detail. With the support of the staff we decided to find out about where, when and for how long people were working. How many hours they worked? How long they were working in their jobs? If they wanted more or less work. We also wanted to find out about the unpaid work experience and voluntary work. The longest part was when we had to fill in every questionnaire, as they were 42 clients. We took the time to adapt the questions when it was necessary and to organise our times according to each client timetable. Finally, we had to analyse the data. We got support from the staff to do the statistics by using graphics. It showed very clearly all the results. The results of the survey were very interesting. 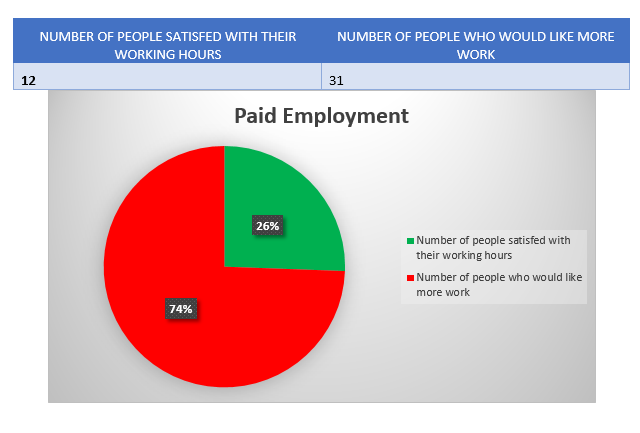 Some of the things we found out were that the majority of the people are looking for more hours of work, but the most of them already have a job. Some people also wanted to explore more the Voluntary area of work. The data is presented in a very accessible and visual way which makes the findings easy to follow. We showed our findings to Jerry Buckley, manager at Connect Employment. He was very impressed and delighted with the work. He asked if we could do the research in other SHS units for his staff to see. We also hope to make a PowerPoint presentation about our findings and present it to Connect Staff. To conclude, we think the best way to work on people’s needs is to get to know what they are first. We think there’s nobody better to speak for us than ourselves. 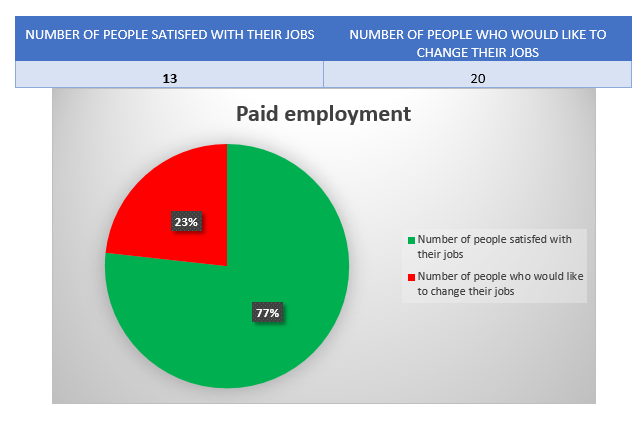 We decided that the results of this Survey could be useful for everyone in the organization to know so we are preparing an article for the Sunbeam Times. 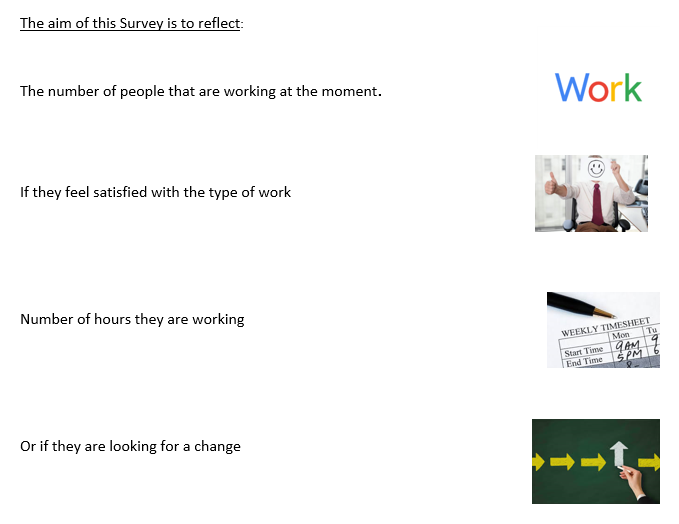 We are going to do a survey to find out about how people are getting on in work. We would like your help with this survey. 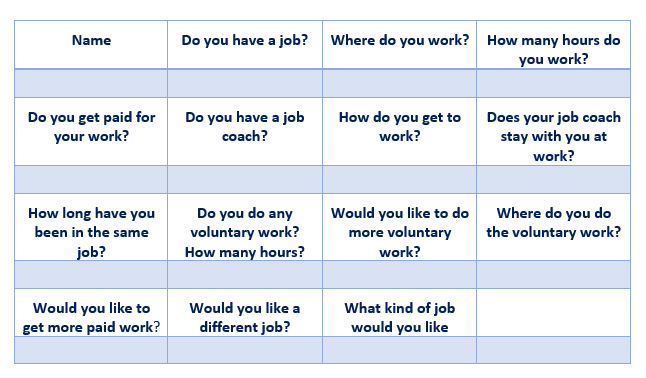 Can you fill in this form and tell us about you work. 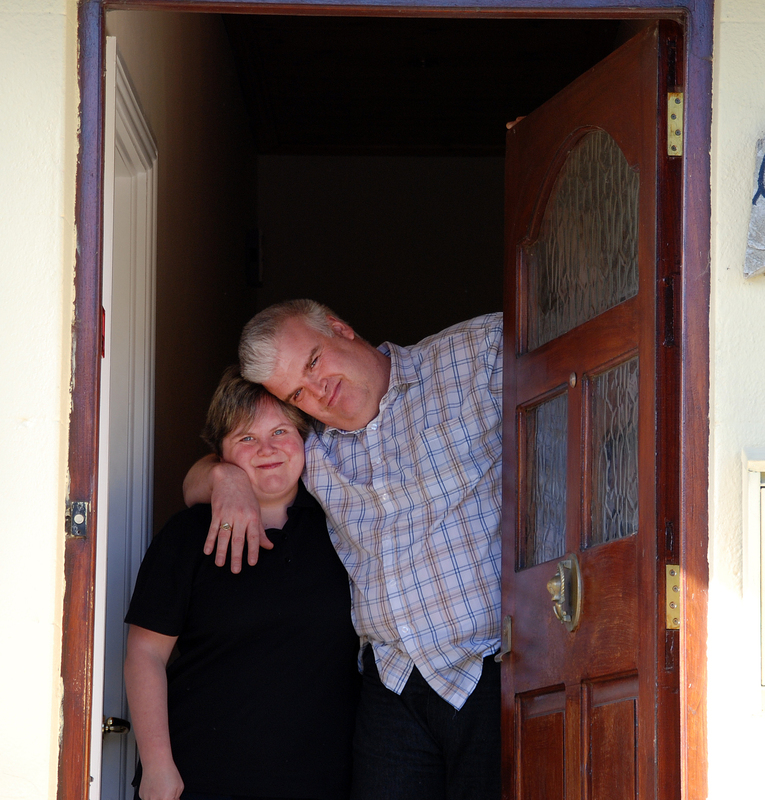 Lisa and Stephen Browne are service-users of Sunbeam House Services.